Esther Sandler, the designer and founder of Togetherness Design, reminds us that a handmade product doesn’t mean a compromise on quality. 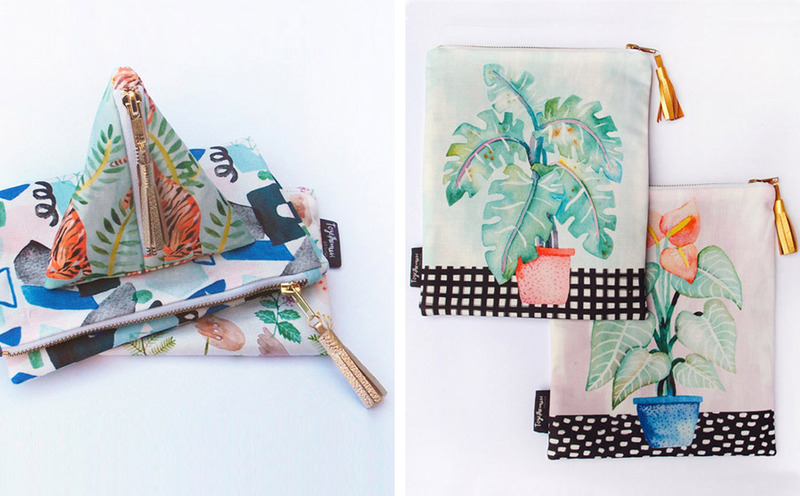 In fact, not only are all of Esther’s handmade creations carefully designed, they are rich in craft heritage and marry illustration and textile design oh-so-perfectly. Read on to discover more about Esther, her business and what you can expect from her label at our upcoming Sydney market. My name is Esther Sandler and I am the designer behind Togetherness Design. I have been creating work under this name since 2011, starting with cross-stitched jewellery pieces and gradually moving to more textile based products. 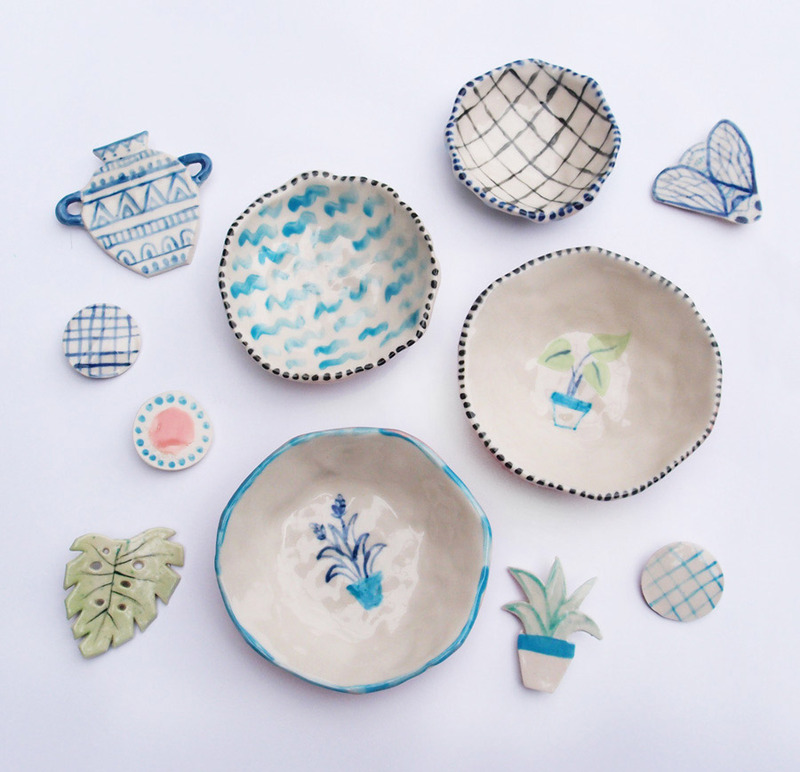 In 2015, I started expanding my work into the realm of ceramics and my current range offers these ceramic pieces alongside bags, purses and cushions as well as art prints, magnets and greeting cards, all featuring a playful illustrative style. I am largely influenced by the natural world, including flora and fauna, and myths and legends as well as more traditional textile influences. The label is entirely handmade which means that as well as creating the illustrations and textile designs, I sew or craft every piece myself! As well as creating work under the label Togetherness Design I also do a lot of freelance textile design work and create work for exhibitions. I love the combination of these three different creative outlets in my life and find it brings a great balance! 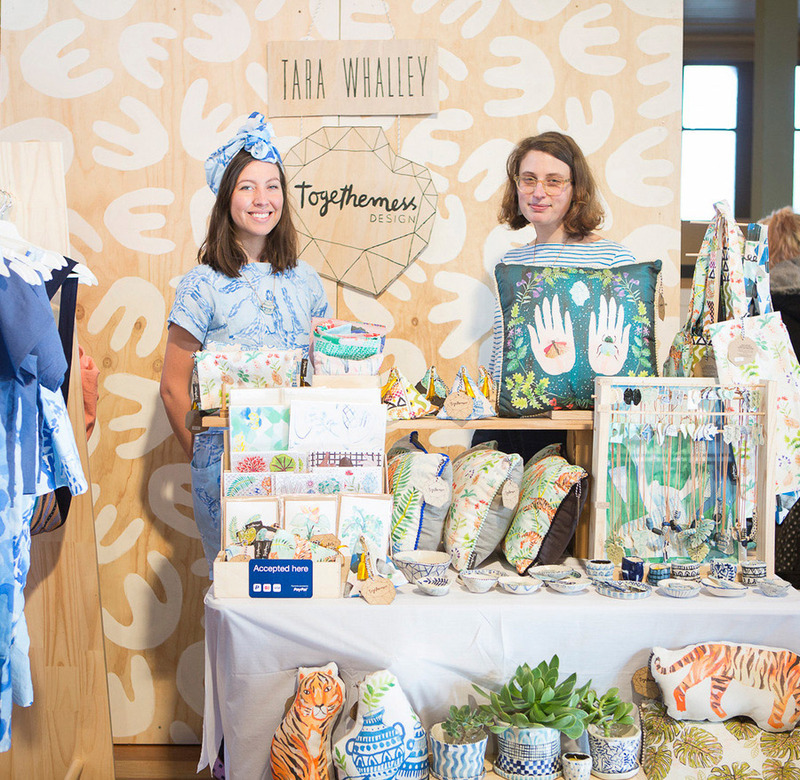 When Tara Whalley and I got accepted into our first Finders Keepers in July this year, the first thing we thought about was how to make our stall stand out from the crowd and I think this is the best advice I can offer. Your product is no doubt amazing but you need to make sure your stall will catch the eye of people when they have already seen a hundred other stalls. 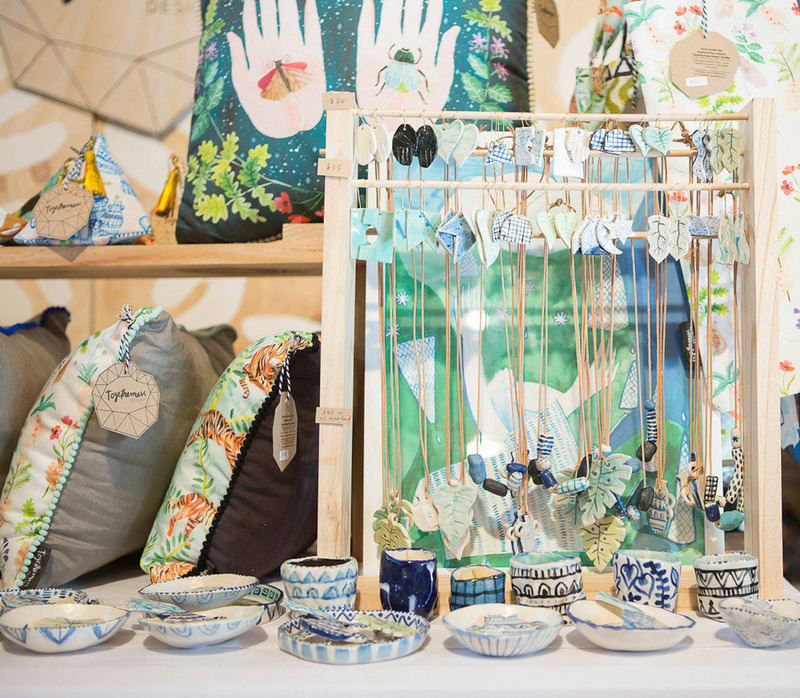 We created a patterned backdrop for our stall, which was a huge effort to make and bring to the market, but it was definitely worth it as it looked so great! Do your research and brainstorm about how your stall can stand out just as much as your beautiful product! 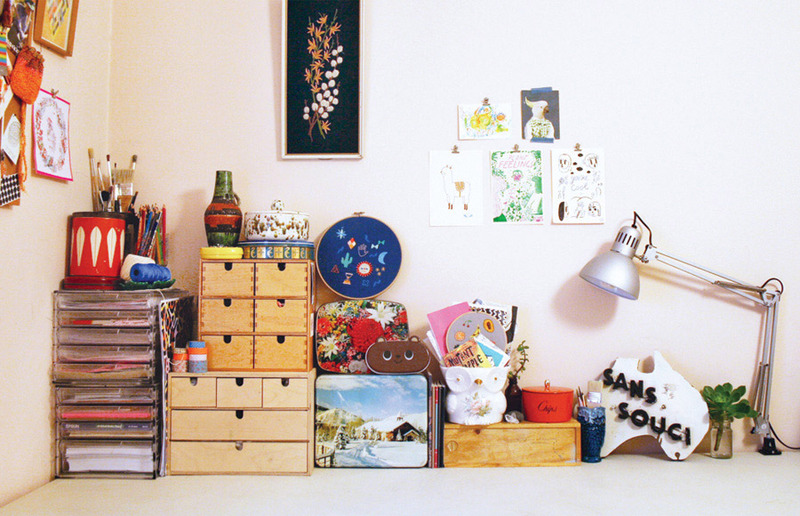 Tell us something exciting that you have planned for Togetherness Design for the next 12 months. My focus for the next 12 months is to keep exploring new products for the label in combination with new prints and illustrations. 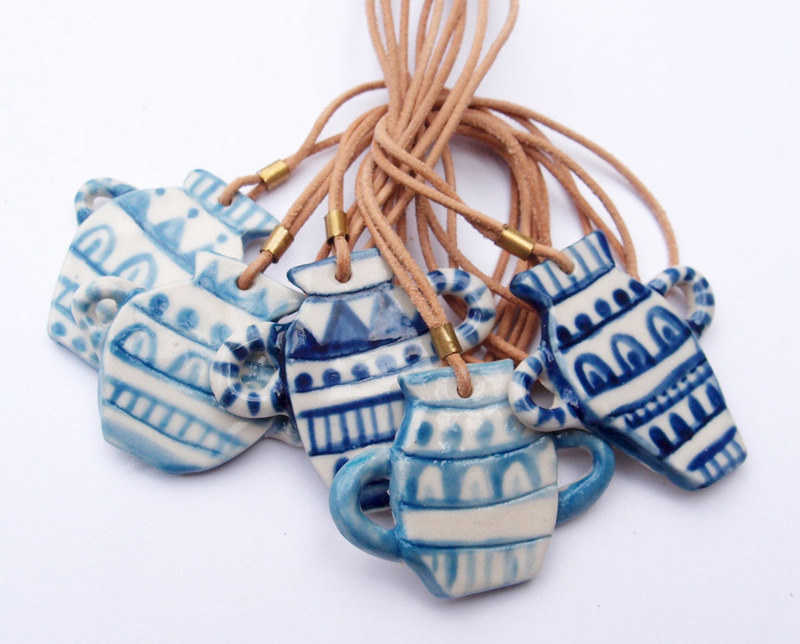 The ceramic jewellery is the newest line for Togetherness Design and I am going to keep exploring this, perhaps even making some products that combine textiles and ceramics together. This year was also the first that I participated in the bigger craft and design markets such as Finders Keepers and I want to keep doing this next year and see where it takes me! Tara and I are so excited to have a road trip up to Sydney from our home in Melbourne to Finders Keepers Sydney and I would love to keep doing this next year, perhaps branching out to other cities in Australia! Digital fabric printing! I rely on this process so much for all of my textile products, which form the bulk of my collection. The rise of digital fabric printing means that it is so easy for me to get a low quantity of fabric printed, be it for a sample or a one-off product that I am making. 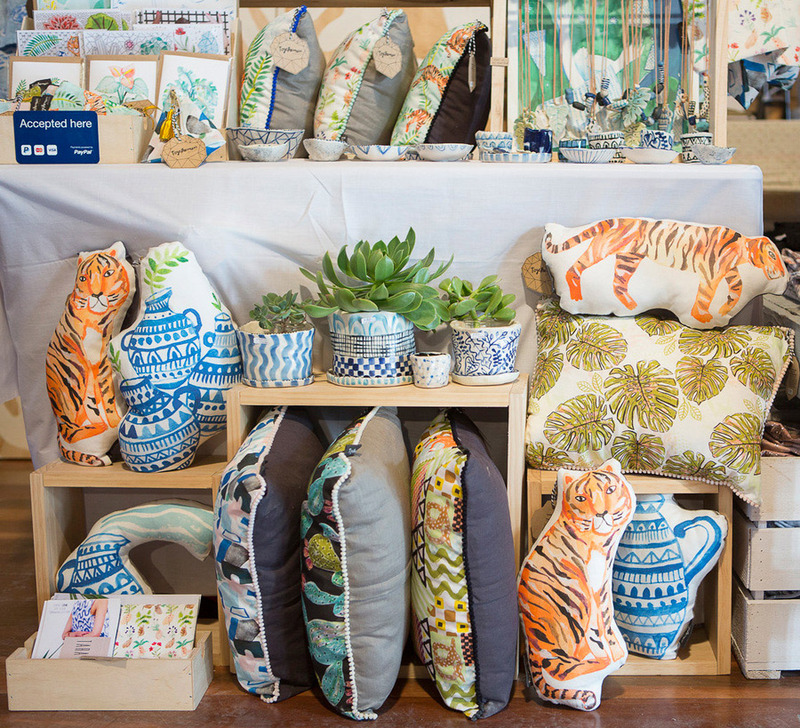 My fabric was previously printed overseas but I have just moved it all to a locally based printer in Melbourne. What’s more, is that digital printing is a low-impact printing process that minimises fabric and ink waste and does not use any water, so I know that I am doing my best for the environment. Although, I love screenprinting and actually studied this process of printing fabric for many years, at this point digital printing is the best process for my small business! 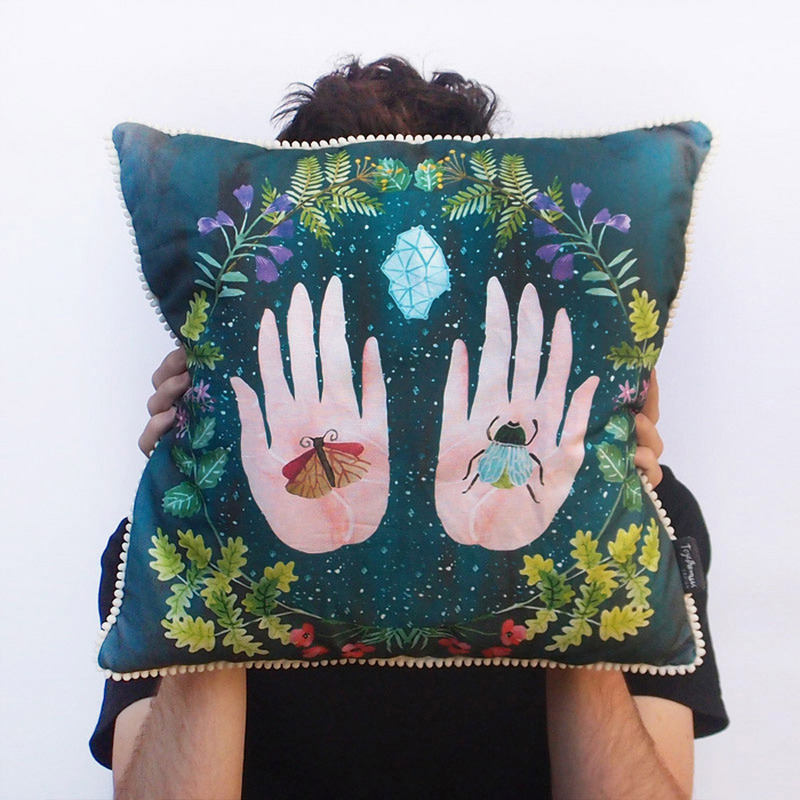 It’s hard to pick just one but I think my favourite piece has to be my ‘Megacosm’ cushion which features an illustration of hands holding insects, surrounded by flowers. I am so happy with this illustration and feel it works so well as a cushion that adds a splash of colour and brightens up your bed or couch! Also ranked highly would be the Vase Ceramic Necklace, which matches back with a lot of the illustrations in my new collection. I love wearing this piece!